It's no secret that we spend a lot of time indoors. This generation of kids grew up with technology in their hands, and sometimes they would rather play video games or on their mobile devices than enjoy an afternoon of fresh air. With summer just around the corner, we need to remember to put down the phone, set our devices to sleep, and walk away from the screens. Finding family time is not always easy, but one of the best and easiest ways to get together is biking, whether it's going around town, riding around the beach, or cruising in the park. 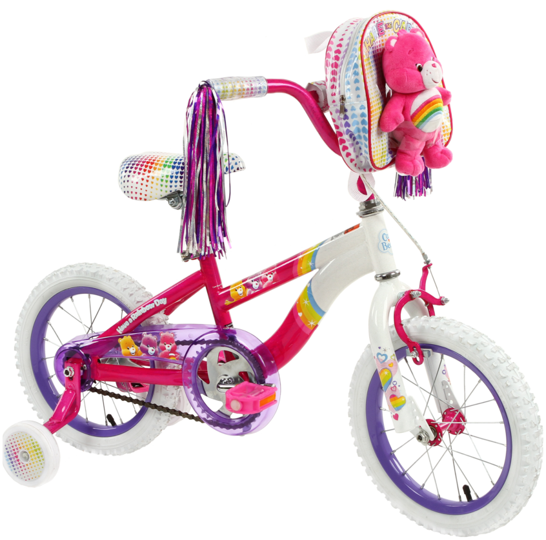 The Care Bears Bike has a BMX-style frame, and is covered in hearts, rainbow colors, tassels, and a Care Bears pack for kids to store their favorite things. Dynacraft also offers bikes in kids' other favorite characters, such as Minions, Barbie, Thomas the Tank Engine, and more. As for the adults, they're going to need something equally as fast to keep up with their kids! The Sonoma Sunser Cruiser is great for parents and even teens. The lightweight bike features a retro but sleek design, chainless technology, and a sturdy frame--plus the bubblegum pink is my favorite color! Time to ride those waves--or pretend waves. If you're familiar with the RipStik Air, then you're going to love the RipSurf! 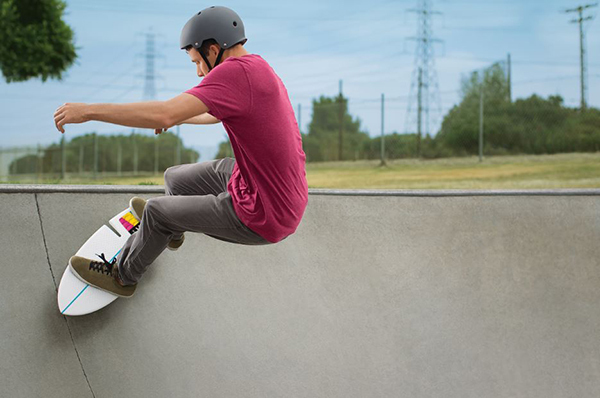 Razor took its RipStik Air technology and used it on a flexible board with two inclined caster wheels to create the RipSurf. Translation: Kids are going to be able ride like a real surfboard, but on dry land! Kids can accelerate and decelerate without having to step off the board to push. Extra wheel and surf stickers are included for fun personalization. Remember Heelys? Now, kids can turn any pair of shoes into a sneaker/rollerblade hybrid with these portable heel skates. All kids need to do is adjust them on their shoe, strap them on, and ride. 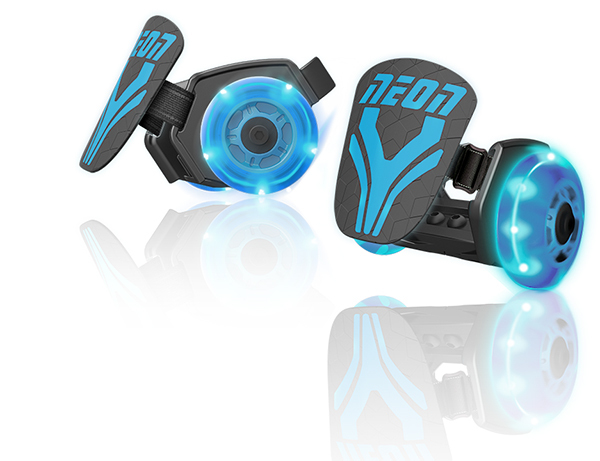 Kids can choose their Neon Street Rollers to be blue, green, or pink. They also feature LED lights that shine bright yellow when powered by the turning wheels--so no batteries are necessary! Kids can control how fast they ride and put their foot down to stop. The street rollers are also small enough for kids to throw in a backpack to use after school or during travel. Let's roll! I remember being in awe at this scooter when I first saw it, and I think kids will be too! This folding two-in-one scooter has a switch front end, which converts from scissor to self-propelling sway motion in seconds. It also features molded handgrips, a quick-stop break, textured grip plates to give kids solid footing, and super-glide wheels. 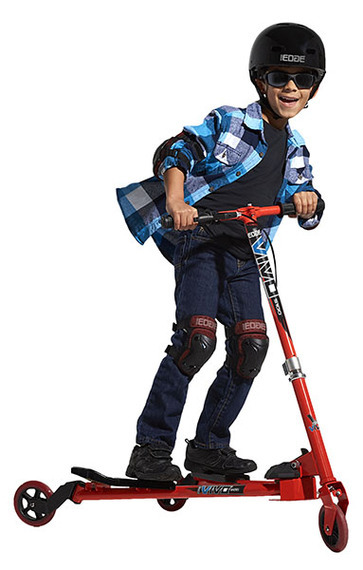 Kids will love how they can choose to ride their scooter, and parents will love that they get two scooters in one! This scooter also easily folds up for easy storage and travel. Some parents are really hesitant about letting their kids ride a skateboard, and the perfect prelude to solve that problem is this freestyle board. 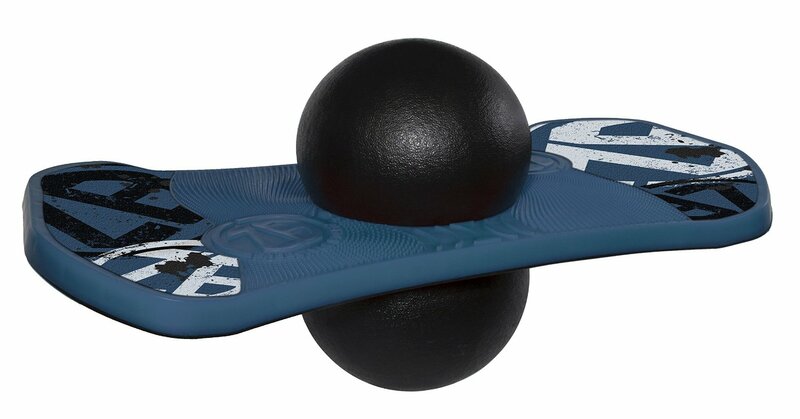 The board comes with a dual-sided deck and a high-bounce ball, so kids can practice tricks inside and outdoors. Once they master simple tricks, they can perform ollies, spins, and flips on all surfaces--including grass!